Winter, though its exciting to experience snow, enjoy the festive season of love, and flaunt those winter fashion, boots and cape styles ; It can bring a lot of damage to skin if no proper care is taken. low temperatures, prolonged use of heaters indoors, lower air humidity – It can all affect our skin, impairing its barrier function making it vulnerable to dehydration, lack of lustre, sensitivity, dry patches, itchiness etc. 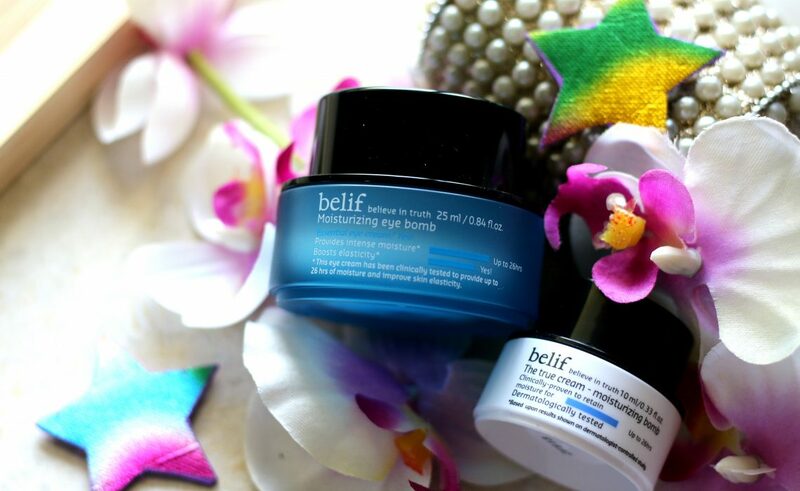 It’s always better to modify your skincare routine as the season gets cooler. To reduce skin getting over dry or to prevent conditions like redness, itchiness and also to keep skin more healthy and comfortable this season. One must use right products. Especially the moisturiser should be chosen properly. Overnight care is a must during this season. Also, make sure you hydrate yourself by drinking a lot of water. This is a perfect stocking filler for yourself or your loved ones. 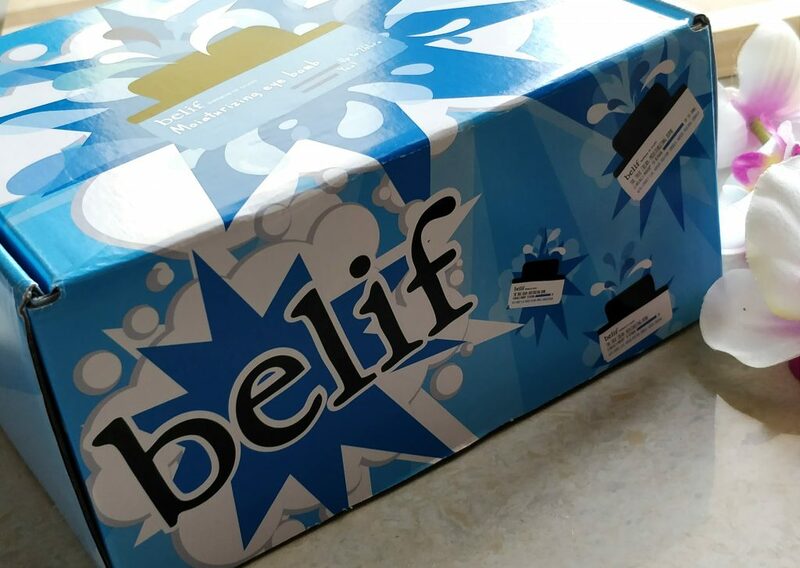 Belif True Cream Moisturizing Bomb is a moisturizing cream that provides skin with intense hydration, leaving it smooth and deeply nourished. it’s perfect for Normal-dry skin. I have a sensitive skin and this one didn’t irritate my skin. 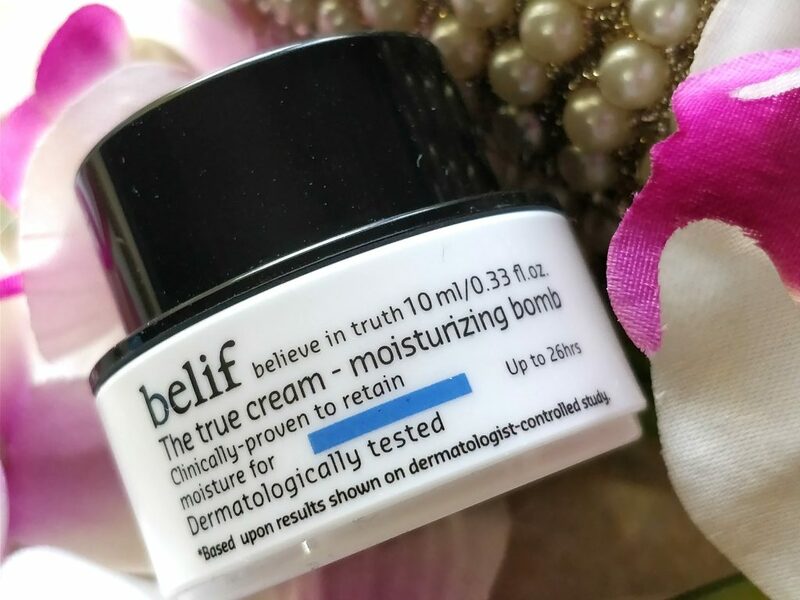 If you are suffering from dry areas or dry patches on your face or when the season changed _ if you feel your skin has lost its firmness or if you find yourself looking dull – This moisturiser is excellent for you. hydrates the skin really well. Prep your skin for your foundation routine. This formula contains a blend of apothecary herbs, including comfrey leaf, a powerful hydrating agent. The texture of this cream is ‘cushiony’. Thicker than Kiehls Ultra facial cream. 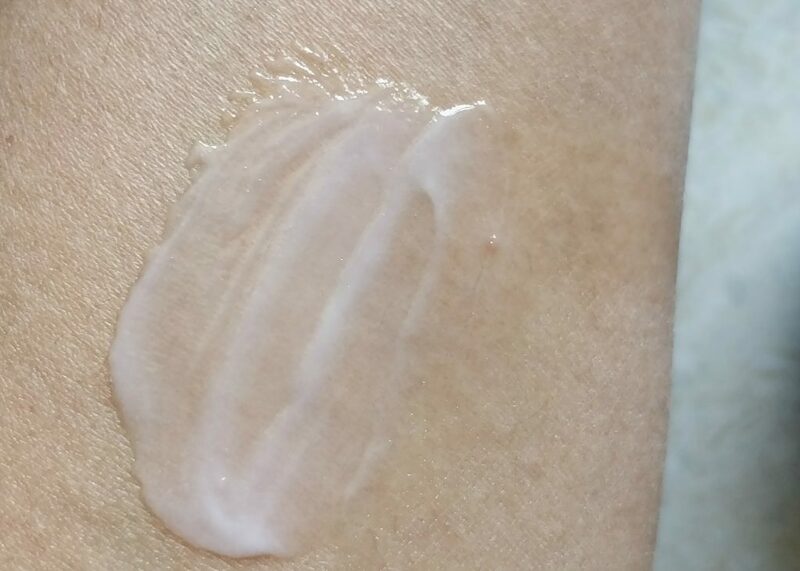 It gets absorbed to skin very quick releasing a flood of moisture onto skin. It doesn’t feel sticky at all and it helps hydrate skin in this harsh weather really well. 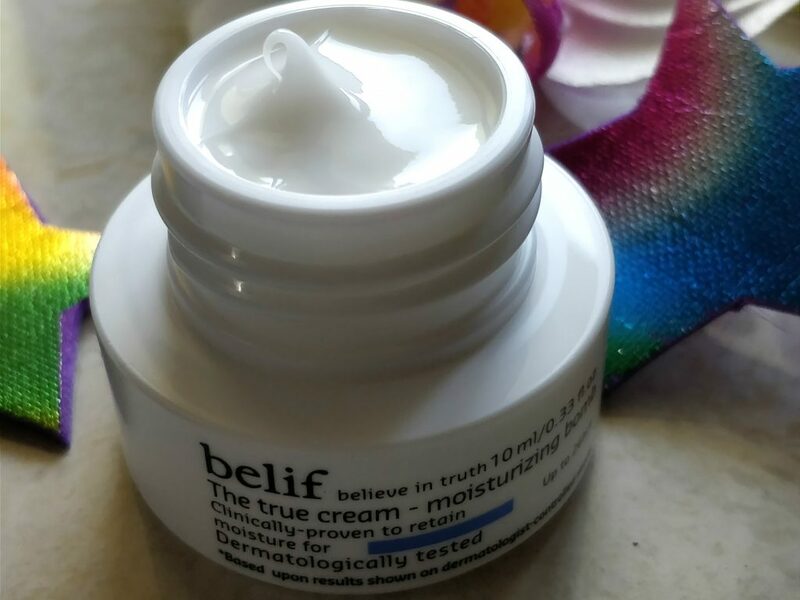 It sits comfortably under makeup and I never experienced issues like sweating or separating etc of the cream. But, it didn’t reduce any spots on my face or cleared up acne marks etc. 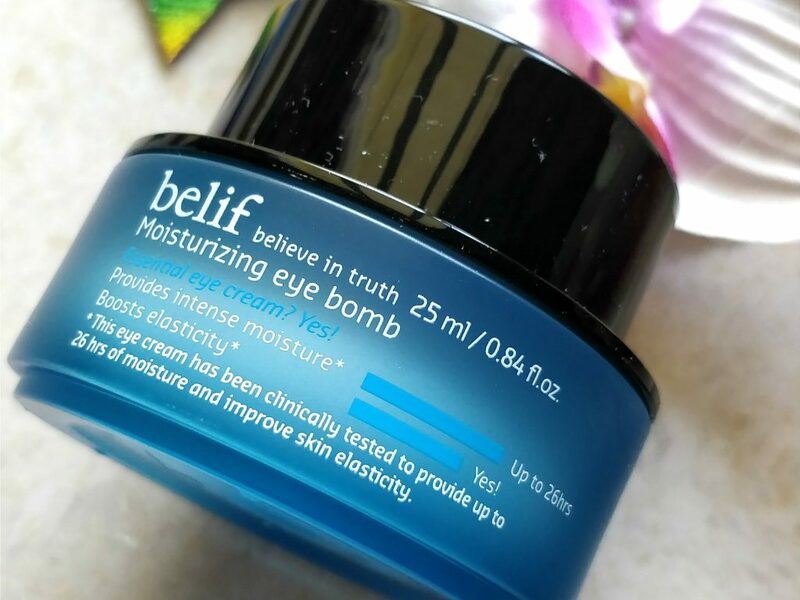 BELIF Moisturizing Eye Bomb is a very lightweight, refreshing eye cream that hydrates under eye area, locks in moisture, get rid of tiredness & puffiness and can be worn under makeup. It can be used by all skin types and a little goes a long way. 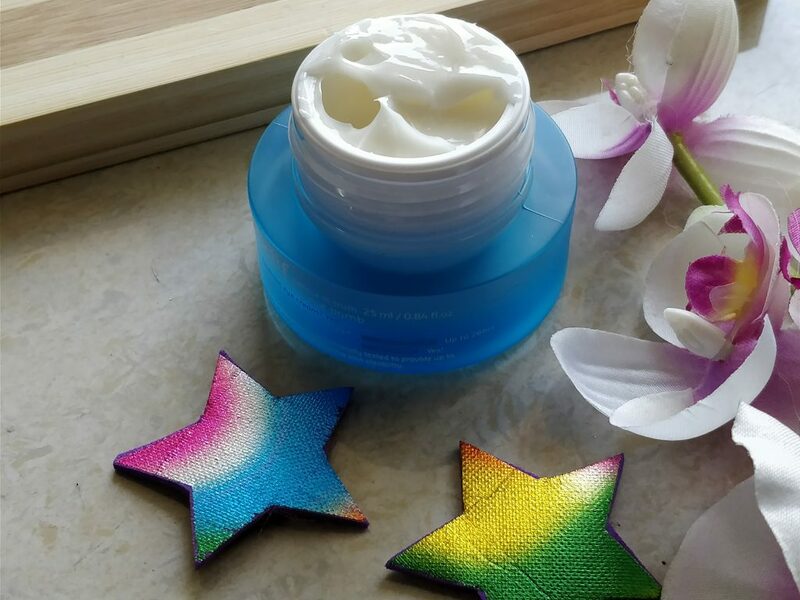 This eye cream is super moisturizing and it has a cooling effect when applying on under eye area. Most of the people I know skip using an eye cream during the day as most eye creams tend to crease the concealer. This is perfect for that matter. 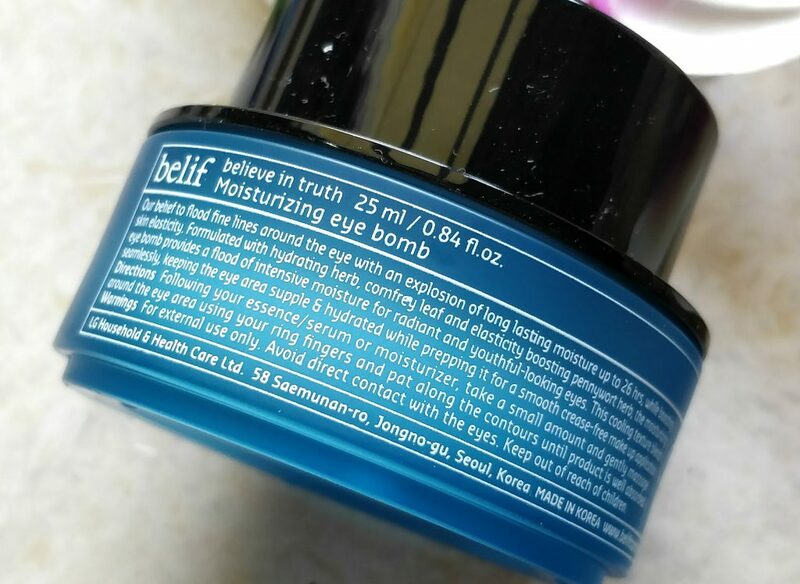 Also, I’ve noticed when I use Eye Bomb before applying concealer, It prep my under eye area well for the foundation application. Concealer goes on smoother and easier giving a natural finish. No streaky or patchy application. Other than hydrating the under eye area. I didn’t notice any reduction on dark circles. 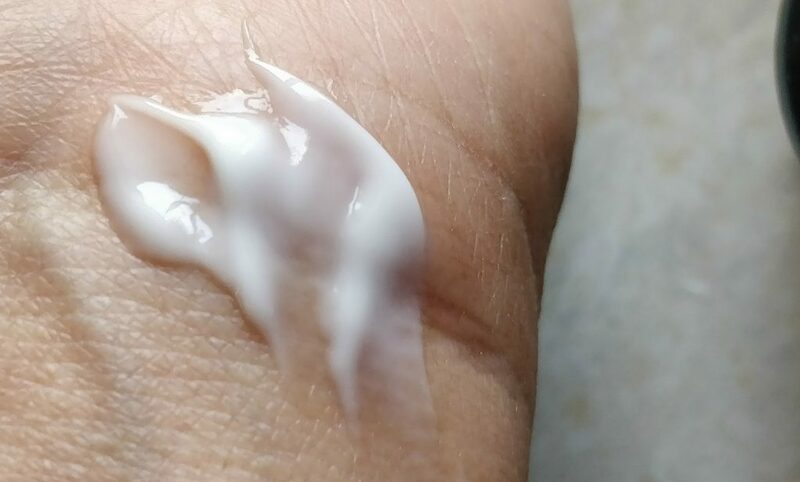 Best way to use this eye cream is – Following your /serum or moisturizer, take a small amount of this cream on your ring finger and and gently massage around the eye area using your ring fingers and pat along the contours until product is well absorbed. 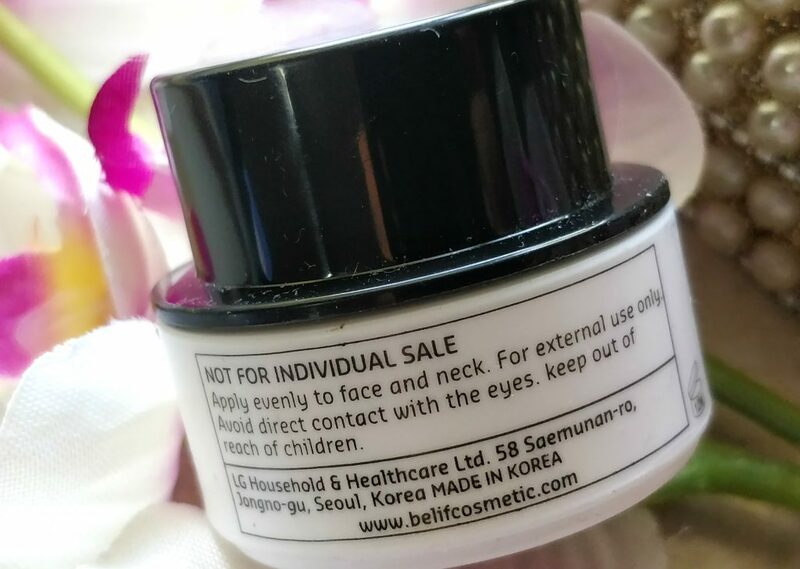 This is perfect if you don’t suffer from major under eye dark circles and if you are looking for a eye cream to help treat mild to moderate dryness and also to apply under makeup. This is perfect for you. 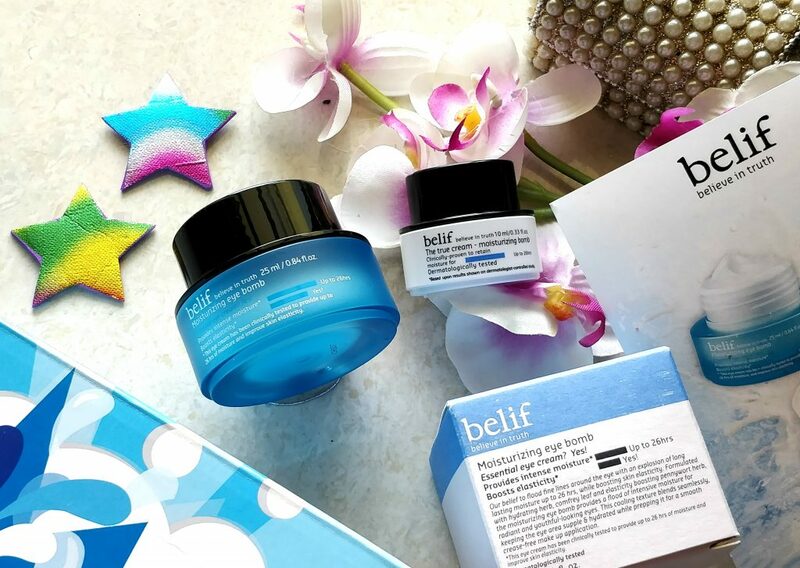 But don’t expect any miracle from this eye cream as how it claims – It has no noticeable effect on the look of fine lines, wrinkles, or other imperfections around the eye area. Also, one downside is if you have super sensitive under eye area – I recommend you stay away from it. It has several ingredients that might irritate sensitive skin.